Browse: Home / hydra – Penetration testing tool. hydra – Penetration testing tool. 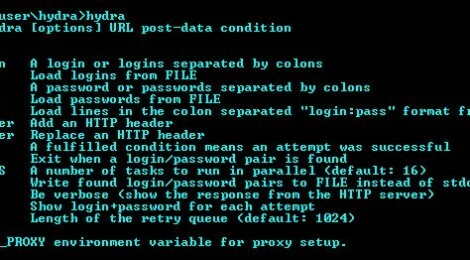 Hydra is a penetration testing tool exclusively focused on dictionary-attacking web-based login forms. latest change : Add retry queue. // with this program. If not, see <http://www.gnu.org/licenses/>. Use HYDRA_PROXY environment variable for proxy setup. ← JSQL Injection v0.73 – a java tool for automatic database injection.